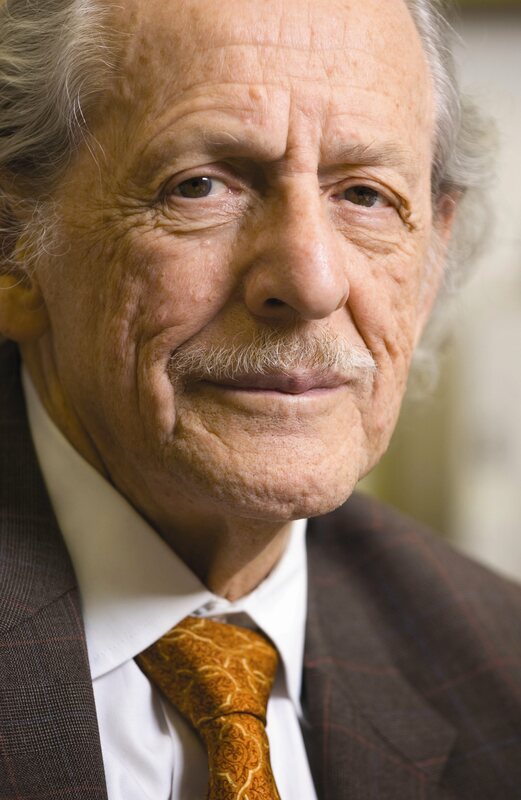 Eugene Garfield, founder of the Institute for Scientific Information and The Scientist, passed away at age 91. Research! America -- Eugene Garfield Economic Impact of Medical and Health Research Award. 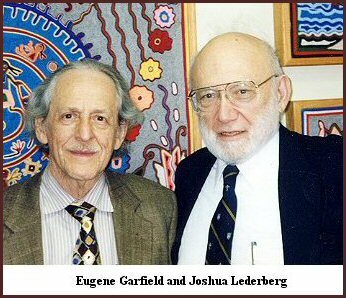 Weissmann G "Science as Oath and Testimony: Joshua Lederberg (1925-2008)"
Toward a Metric of Science: : The Advent of Science Indicators Edited by Elkana Y, Lederberg J, Merton RK, Thackray A and Zuckerman H.Pub. John Wiley & Sons, NY, 1978. Garfield E., Sher IH, Torpie RJ "The Use of Citation Data in Writing the History of Science." Bensman, Stephen J. - Papers on Urquhart's Law and Garfield's Law. Hummon NP and Doreian P "Connectivity in a citation network:The development of DNA Social Networks 11:39-63, 1989. Herner, S. "Technical Information: Too Much or Too Little?" Scientific Monthly, Vol:83(2): p.82-86, 1956. Lawlor, Bonnie "Bonnie Lawlor Discusses From the Institute for Scientific Information (ISI) to the National Federation of Advanced Information Services (NFAIS)" Svetla Baykoucheva, Chemical Information Bulletin Vol. 62(1): 17-23, Spring 2010. Marshakova-Shaikevich, Irina - List of Books and Papers & Extended summary in English of "System of Document Connections Based on References" Nauch-Techn.Inform, Ser:2, (6):3-8, 1973. Martyn J. "Unintentional duplication of research: A survey revealing instances of belated discovery of information in the literature leads to an estimate of what duplication costs" New Scientist #377 p. 338, February 6, 1964. Weinberg Report : Science, Government & Information : The Responsibilities of the Technical Community and the Government in the Transfer of Information. A report of the President's Science Advisory Committee, The White House, Washington DC. January 10, 1963. 3 PART FILM on You-Tube. Part 1 consists of a six minute award winning animated cartoon designed by Paul Fierlinger of Wynnewood. Pa. The film production company was headed by Paul Litecky of Wallingford. PA. Both gentlemen are still active. Little Science, Big Science . . and Beyond - Derek J. deSolla Price.